Google mobile cloud services have made it so easy for everyone to store their entire data on the cloud once you sign up for a google email account. To sign up for google email account, login to www.gmail.com and sign up. Once you complete the sign steps and verification you will be offered 15GB space free. Apparently mobile devices comes with 16-32 GB inbuilt memory or even more but these memory are utilized most time by some photo, game and application freak mobile users. Once this mobile device happens to be overloaded by these gadgets, the device will be running slow and prompting you to delete some items in other to keep the device running. At this point if your mobile device eventually requires an update, trying to update your mobile device will require you deleting a whole lot of things from your mobile device which might not really sound funny to anyone. The Google cloud services have eradicated such boundaries and has given every google user 15GB at first time sign up. With this you can secure your photos, apps and songs as a backup in case you lose your mobile device or device crashes. Moreover these cloud service you can access anywhere in the world by just login in to you email. This era of mobile devices backed in the cloud is the most defining computing experience of our time. This is a first class cloud data model from google which has the ability of providing a mobile device user with data even when the mobile device is offline, allow you to access your files as fast as your internet speed can go, so you do have access to you files anywhere in the world, and real-time data synchronization across all mobile platforms. Speed is a Feature, and latency makes or breaks the mobile user experience. Google’s private fiber network spans the globe with over 100 points of presence across many countries, meaning your app data reaches users with very low latency. Whether it’s raw application data or media-rich imagery and video, your app data travels Google’s global network from google data centers, to every end users, anywhere across the world. Apparently, the concept of cloud is well understood by going out there and looking up there in the cloud, yeah, because that is where your data are stored. From this illustration you can agree with me that the skies flows with you, where ever you go, that is exactly what happens when you do mobile cloud backup. Cloud Platform gives you comprehensive solutions with a focus on ease of use and speed, all of these without having to manage or fixing infrastructure. Today’s goggle best apps have blend client and cloud into a single platform, creating high quality responsive experiences for users backed by powerful computing resources remotely. Cloud Platform helps you strike this balance easily for your mobile backend, where non-interactive tasks get offloaded to Cloud Platform, resulting in improved battery life on mobile, lower bandwidth usage, and a snappy client experience on mobile. I took my time in studying benefits of google mobile cloud, and I found out that they are just too amazing, the truth remain that this is the era everyone has being waiting for all along in the IT development industry. Services like cloud print has eradicated the load of carrying document from one country to another and now all you need do is just to upload to google cloud services using your mobile and access your file anywhere. Online conferencing calls. IP telephony and all these you do them and still look good. With mobile cloud for me, my device is always free from device data storage issues, but yet I can access every of my file anytime want. I upload my photos on Google photos, upload my files on one drive and Doc, my contacts on Google contact, I receive my messages on Google Hangout and my e-books on Google book backup my application on Google play store. All these have little or no impact on my phone or device storage and they always go with me. With one sign in you get all you backup cloud services synchronized right into you device , in the sense you either miss places or got a new device, secondly you can synchronized among your devices and access your here and there with just a login and a simple authentication. 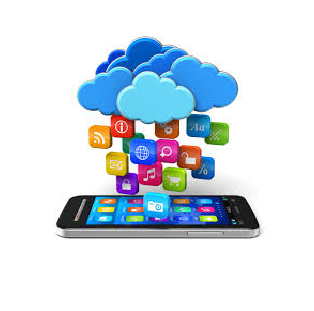 Mobile cloud service remains you of an offline case gracefully and send notifications and messages when necessary to keep you updated. Just like your YouTube account will tell you when your favorite songs are uploaded or artist is performing. With all these applications and services that takes up you device battery charge, backup on the cloud I really don’t see reason why the rate at which you battery drain not being drastically reduced. I ques you will find the content of this material as interesting as I do. keep in touch for new tech and developing updates from this blog. ← Daily Blog Trick Features.